After a notable 45-year career in arboriculture Greg Daniels will retire as President and Chief Operating Officer of Bartlett Tree Experts on December 31, 2012. Mr. Daniels joined Bartlett in 1975 as a local manager and held roles of increasing responsibility until being named president in 1999. During his tenure with the company, he has been involved in more than 20 acquisitions, 31 office openings and the establishment of new locations in the U.S. and abroad. He is, and will remain, a member of the Bartlett board of directors and trustee of the Bartlett Tree Foundation, which provides mentoring and financial support for future arborists. In 2011, Mr. Daniels received the TCIA Award of Merit, the highest honor bestowed by the organisation to an individual that has positively impacted the practice of arboriculture. His years of volunteer service to industry organisations including TCIA, ISA and the National Arborist Foundation are just one example of his pivotal role in advancing the field of arboriculture. "Greg has been a true visionary for Bartlett Tree Experts, building the company's character with his leadership," said Robert Bartlett Jr. Chairman and CEO. "I remember when I first met him. He wanted more than a job. He wanted a challenge. I'm pretty sure we've been able to deliver that challenge over the years – and Greg has more than lived up to it. I look forward to working with him in a new capacity in the years to come." Bartlett Tree Experts is currently conducting an internal application process and will be naming a new president in the coming months. The selected candidate will start January 1, 2013, under the mentorship of Mr. Daniels who will continue to be actively involved in the company. The F.A. Bartlett Tree Expert Company was founded in 1907 by Francis A. Bartlett and is the world's leading scientific tree and shrub care company. 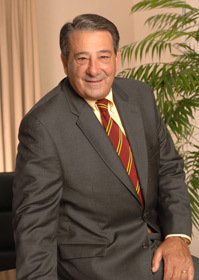 The organisation's current chairman, Robert A. Bartlett Jr., represents the third generation of Bartlett family management. Bartlett has locations in 26 U.S. states, Canada, Ireland and Great Britain. Services include pruning, pest and disease management, fertilisation and soil management, cabling and bracing, tree lightning protection systems and tree/stump removal. Its corporate offices are located in Stamford, Connecticut.